I did a lot of tomato dolma this summer, and I made lots fo different types. With bulgur, rice, with ground beef, without ground beef, in the oven, on the stove… The essence of all of them is the same. 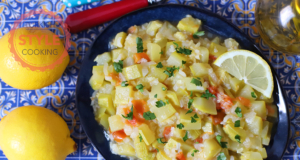 So I’ll tell you how you can do whichever you want by making minor changes in this recipe. How to Make Tomato Dolma With Rice? 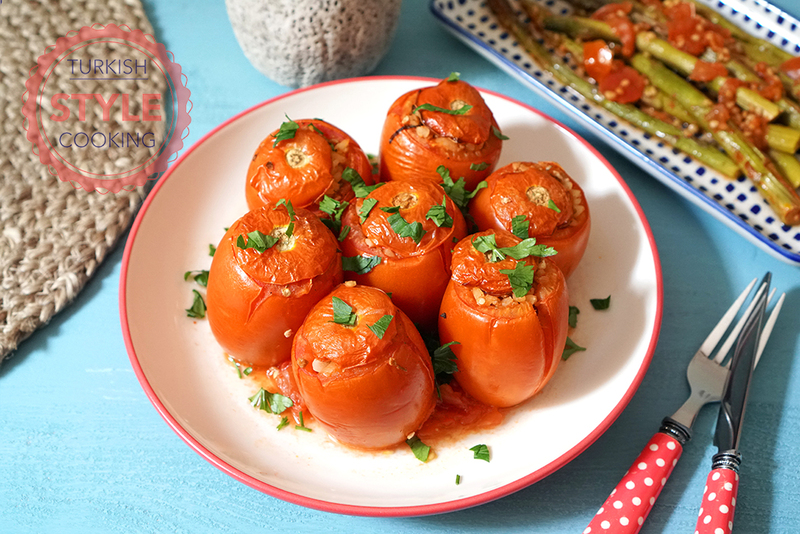 Using rice instead of bulgur, you can make rice tomato dolma without making any other changes. How to Make Tomato Dolma Without Ground Beef? You can remove ground beef from the recipe without making any other changes and make dolma without ground beef. You don’t need to increase other ingredients etc. If your tomatoes are small, may be jou can just have 11 dolmas instead of 12. How to Make Tomato Dolma With Rice and Without Ground Beef? 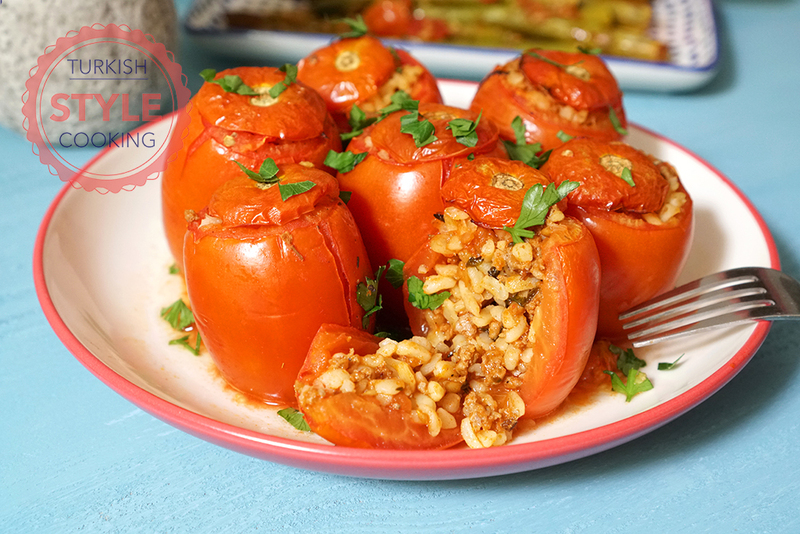 You can substitute bulgur with rice, remove the ground beef and make an make tomato dolma with rice and without ground beef without making any other changes. How to Make Tomato Dolma In a Pot? Without changing anything in the recipe, you can place dolmas in a pot instead of a baking dish and cook the dolma on the stove. But just keep in mind that the tomatoes are inclined to break up more in this way. 1.5 cups of boiling water. Bake in the preheated oven at 190 C degrees until the outer parts of the tomatoes are a little bit brown.